Kaal means death. The person born under complete Kaal Sarp yoga passes through death like agonies through out his life. 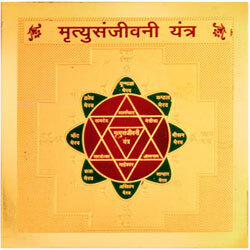 Kaal Sarp yoga is formed when all the planets are situated between Rahu and Ketu. It is one of the malefic yogas. 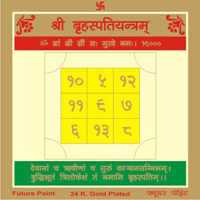 If it is present in the horoscope the person has to face lots of difficulties, obstacles and setbacks in life. He does not get desired results inspite of putting lot of efforts. 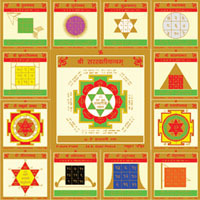 Sampoorn Kaal Sarp yantra is made of thirteen different potent yantras etched up in a special configuration on one plate comprising a big 7"x 7" Kaal Sarp Yantra, Shree Yantra, Kuber Yantra, Ganpati Yantra, Sampoorn Mahalaxmi Yantra, Sukh Smridhi Yantra, Maha Mrityunjay Yantra, Sani Yantra, Rahu Yantra, Ketu Yantra, Vahan Durghatna Nashak Yantra, Durga Beesa and Mahalaxmi Yantra. 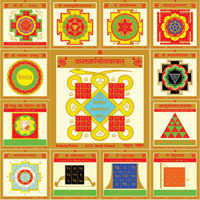 This sacred yantra comprising of all 13 Yantras not only protects the worshipper from all the evil effects but also neutralizes the ill effects of KaalSarpaDosha in an effective manner with long life, success, intelligence and happiness. 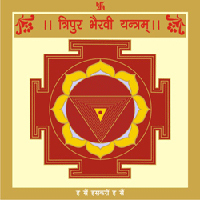 Clean the yantra on Monday morning with holy water and it can be placed in the house or office and one can recite the following mantra 108 times to get best result. ||Mirturmukshiye Mamritat.Om Bhurbhuvah Swaha Om Joog Hoong Om.